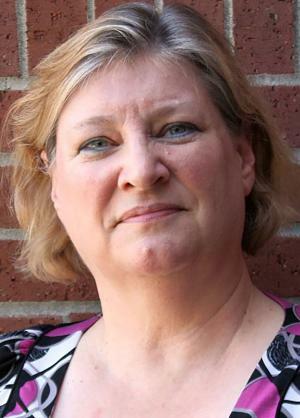 A history and geography instructor at the Forrest County Center is Pearl River Community College’s Humanities Teacher of the Year. Cheri Alder will receive a $500 honorarium from the Mississippi Humanities Council at a Feb. 16 luncheon honoring teachers from across the state. The honor carries with it a requirement to present a public lecture about a topic of interest to the recipient. Alder will present “What’s in Your Attic? Returning Nazi-Looted Art” at 12:15 p.m. Thursdday, Nov. 16, at the Forrest County Center. Alder has taught full time at PRCC since 2010 and as an adjunct instructor for two years before that. “I love teaching classes, and I love history,” she said. “Students tell me all the time that a teacher’s enthusiasm makes a class so much more interesting, and that’s what I aspire to do. I aspire to inspire.” She holds a liberal arts bachelor’s degree and a master’s degree in history from Southeastern Louisiana University. While at Southeastern, she receive a Presidential Award which earned her a teaching assistant position at the University of Southern Mississippi where she did additional graduate work in history. Her primary area of study is the World War II homefront. Her lecture grew from that emphasis combined with an interest in the cultural arts.